The bean liquid we used to throw away turns out to be one of the most astonishing culinary discoveries of the decade. With its amazing egg-replacement abilities, miraculous "aquafaba" can be used as an egg-replacer to make everything from French toast to lemon meringue pie.Â Aquafaba can be used as a binder in both sweet and savory recipes and is a boon to vegans, people with egg allergies, as well as anyone interested in innovative cooking with a magical new ingredient. 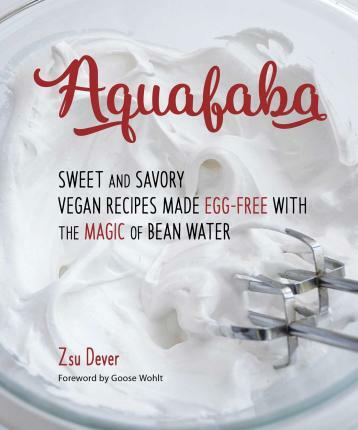 The latest title by San-Diego-based author Zsu Dever (author of Vegan Bowls and Everday Vegan Eats), Aquafaba features Zsu's signature photography, her easy-to-follow instructions, and metric conversion charts.